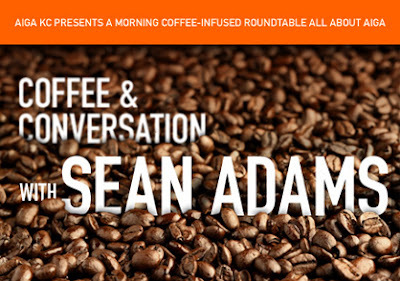 Join AIGA for a casual breakfast and discussion with renowned designer and current national AIGA president, Sean Adams. He will talk to us about his experience at AdamsMorioka, his vision for the AIGA and what we can all do to further develop the concerns of our profession. Location and more info here.